Forget Superhero fatigue – why do we still watch biopics? As he was doing the promotional rounds for Birdman, the director of the Oscar-winning movie stated that superhero films were, amongst other criticisms, “Cultural Genocide.” This is pretty much the culmination of a blockbuster backlash that Hollywood is managing to survive with no sign of relenting. Every year, critics, directors and a host of others linked with movies argue and complain that Hollywood has lost its originality. Every summer we get more sequels, remakes, reboots and superhero movies, with no sign of the trend changing any time soon. I have to agree. This is an issue and with the recent release of the trailer for the Point Break remake, you can see the argument. I’m not saying these people are wrong – I’m saying that there is a type of movie that doesn’t get mentioned when the list of complaints is made. In fact, there is a type of movie lauded and celebrated that is also beginning to run its course as well. Another year – another movie about a President! The biopic is a staple of any movie release schedule and rather than people rolling their eyes at the next “celebrity” to have their lives adapted into a movie, instead they get excited about the potential for whoever is playing the lead role (or surrounding family/friends roles) to get nominated for Oscars. Why aren’t we complaining that this is a sign of Hollywood laziness? As Marvel were bringing together one of the most audacious movie franchises that had ever been planned, the Oscars nominated 4 movies based on true events or lives (Lincoln, Zero Dark Thirty, The Impossible and Argo). I’m not saying the films compare, they don’t, but as one studio does something truly original with superhero movies, Hollywood forgets that it is nominating the types of movies that get released every year with no criticism or issue. To carry on this argument, the next year, 2014, the Oscars recognised and applauded 5 different movies based on “true events” (12 Years a Slave, Dallas Buyers Club, Captain Phillips, The Wolf of Wall Street and Philomena). Take at look at this last Oscar nomination list and we get 7! (*Deep Breath* – Selma, The Theory of Everything, Foxcatcher, The Imitation Game, American Sniper, Unbroken and Mr Turner). It is easy to see why these movies are made. For starters, they are interesting stories (in the most part), they are Oscar bait, almost guaranteeing recognition if done correctly and well and finally, it is easy and subsequently lazy movie-making. You don’t need a new idea when you retell the story of a greedy, crazy Wall Street tycoon or tell the story of a long dead President. I’m not saying these movies aren’t good, or great, or should be made – I’m just saying that Hollywood should stop complaining about the glut of superhero movies, sequels and remakes when they seem to rely and relentlessly call for true stories or biopics. The final list of Oscars is the one that is most infuriating – this year the predictions have already started and there are a few pretty incredible biopics to come. Upcoming biopics include Steve Jobs, Miles Davis, Dan Rather, Edward Snowden, Jessie Owens and the guy who walked between the Twin Towers on a tightrope. The most frustrating aspect of at least three of those biopics is that they’ve already been done! Man on Wire was the story of the tightrope walker Phillippe Petit, CITIZENFOUR told Snowden’s story and Ashton Kutcher has already done Steve Job’s story. At a time when people dare to complain that Spiderman’s story has been done twice in ten years, try sitting through two movies about the guy who helped invent the iPod, only three years apart! I have nothing against biopics and in some cases, they are great, amazing movies which need to be told. It is just a clear example of how unoriginal but selectively blind critics, audiences and Oscar judges can be when we seem to applaud people for telling stories most people already know or can find a movie that has already been made. As you sigh that Batman is brought to the screen again, played by someone else, in a different version of the same character, also chastise the same studios for thinking that Steve Jobs deserves two versions of the same story as well. Overall, biopics are a huge example of Hollywood’s lack of originality that is seemingly ignored in favour of bashing superhero movies or blockbuster franchises. 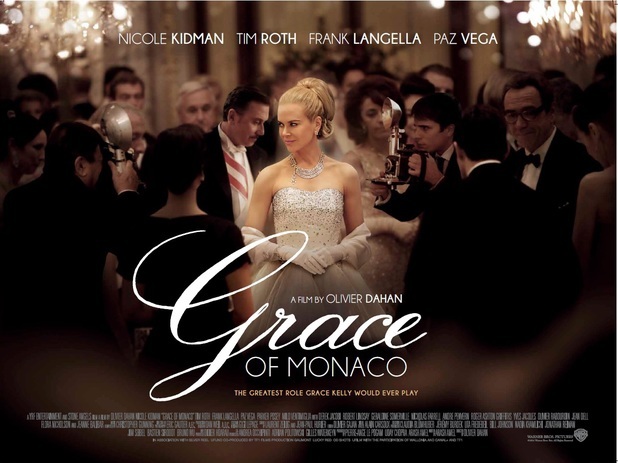 When Oscar nominated director’s start arguing that superhero movies are “cultural genocide”, maybe he should also group in the slew of biopics that often not only feel unnecessary, tell a familiar, already covered story but in the cases of Diana or Grace of Monaco, seem to insult or tarnish the tales of the real people that they are telling. Oh trust me, I’ve been saying biopics are lazy for a while. But I see a distinction between biopics and mo vies based on true events. I wouldn’t wrap up movies like Zero Dark 30, Argo or The Impossible with the likes of Walk the Line, Jobs, or other paint-by-number stories of people’s lives. I think focusing on an event can be much more successful, and even if a movie is about a specific person, it still works as long as its centered around a specific event in their life rather than their whole life. This is why I think Lincoln works well as a biopic, or The Queen from a few years back. I have a lot of time for both biopics and “true story” movies but just don’t understand the praise they receive when other films are so chastised. All those movies you mentioned are worthy of praise but here are also so many based on true events and people lives that are lazy but people seem to accept when they shout-down the superhero or franchise movies that make up the blockbuster season. very good point Ben. I personally love biopics and think they are usually very interesting and informative, but I do see your point. 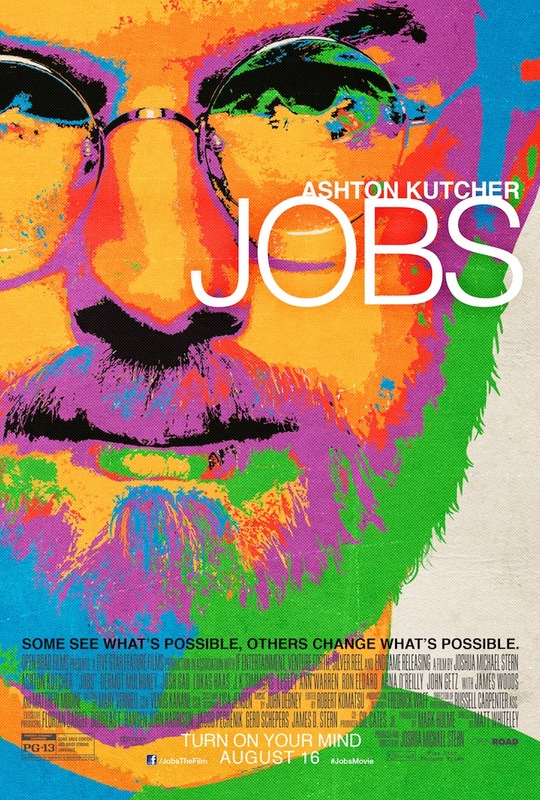 Two Steve Jobs biopics back-to-back (even 3 years is BTB in my book) feels a bit much. Regarding Snowden and Petit’s stories, as much as I love a good documentary, there is a draw to a dramatization of those stories and despite having seen the docs, I’m very interested in seeing how they make the movies. I must disagree tho that historical fact movies are usually quite interesting and (generally) unique to watch (for me that is) and I personally can never get enough of them. I’m also a big fan of superhero movies and my biggest complain about movies these days are the incessant remakes of classics from the last 30 years or so. If you want to watch Red Dawn, see the original, not the silly remake, same goes for so many other remakes. Completely agree. I think the remakes of movies are only worth doing if you can add something better to the film or present it in such a way that couldn’t be presented before. For example a remake of movies like The Day the Earth Stood Still or War of the Worlds makes sense because in theory you can actually update those films with better effects (although neither were as good as I;d hoped).